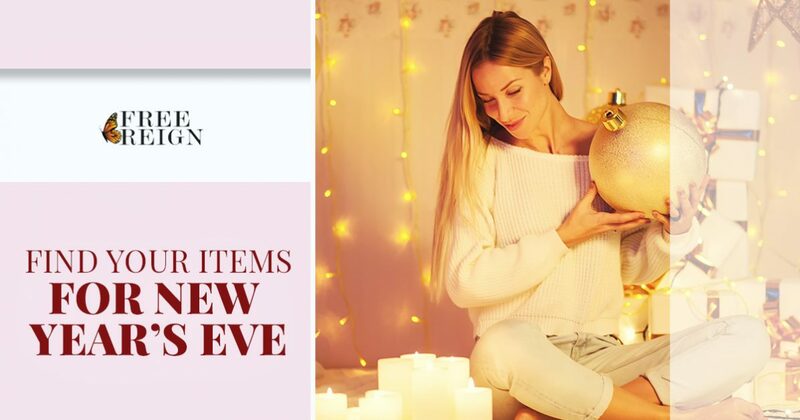 Home Goods Conshohocken: Items for New Year’s Eve! New Year’s Eve (NYE) is fast approaching, and hopefully you’ve made plans for where you’ll be and who you’ll be spending it with. If you’re hosting friends and family at your house, Free Reign in Conshohocken can help you find the perfect items for your party. With our selection of home goods, including flatware, servingware, and plate sets, you can have the perfect spread for your party. Visit our boutique today to get started! By the time NYE arrives, people have likely enjoyed several family dinners and plenty of sweet treats during the holiday season. It’s important to offer a variety of foods and snacks at your party, so that everyone can find something that they prefer. Finger foods are always a good idea, and if you’re making chicken wings or crab cakes, you can present them beautifully on a new serving plate or decorative tray from our store. If you’re throwing together some puppy chow or holiday trail mix, find a fun bowl to put it in, and then add small serving cups next to it so that people can carry a cup around with them during the party (it also eliminates the need for people to scoop the snacks with their hands). No New Year’s Eve party would be complete without champagne and cocktails, and we can help you find the perfect glasses for your soiree. It’s a good idea to provide an assortment of options when it comes to adult beverages, as you’ll have people who want beer along with those who prefer wine. 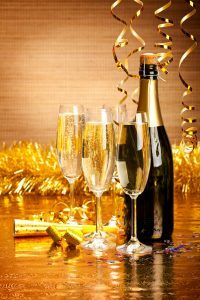 You can save those bottles of champagne for the stroke of midnight, but be sure that the corks are popped and that the glasses are ready for pouring. That way, everyone will be able to toast the New Year after kissing their sweetheart! New Year’s Eve may be the only time during the holiday season that you get to see certain friends or family members. If you want to find a gift for them, our staff will gladly help you find the perfect option in our store. You can wrap it up and give it to them before they leave the party, or, you can find some small gifts and make a prize giveaway part of the festivities! No matter which you choose, Free Reign is here to provide the best gifts. If you’re putting together a NYE party, and you need some home goods such as flatware or servingware, visit our boutique in Conshohocken today. We’re always adding new items to our shelves, and we would love to show you what we have in our inventory. Our holidays hours are Monday through Friday from 10:00am to 5:30pm, Saturdays from 10:00am to 5:00pm, and Sundays from 12:00pm to 4:00pm. We’ll be open every Sunday in December except for New Year’s Eve, so be sure to visit us to find the items you need and the gifts you can’t buy anywhere else!